March is Brain Injury Awareness Month, and it is the ideal time to learn the signs that you or someone you love is suffering from this condition. As the U.S. Army indicates, a brain injury is a “multi-system dysfunction that also affects the family.” Prompt treatment is essential for a TBI, but people do not always recognize the symptoms and aren’t always aware that even a seemingly minor bump to the head can have a lasting impact. A Boston brain injury lawyer can help clients who are suffering from the effects of brain injury to take legal action against those who are responsible for injury. A traumatic brain injury can cause physical and psychological symptoms and often the worst side effects, including emotional and behavioral changes or memory loss, do not appear immediately. This means you could sustain a blow to the head, believe you are fine and then develop symptoms months or weeks later. Unfortunately, sometimes people who are suffering from TBI may not be aware of the fact that the health issues they are experiencing are a sign of a brain injury. The fact that a TBI affects cognitive function and reasoning skills can compound the problem and make a TBI sufferer unable to recognize that medical help is necessary. When the TBI affects a child, the risk that a TBI will go unrecognized is even greater since the young person may not have the words to communicate what is going on with his body as a result of his brain injury. Family members should be on the lookout for outward signs of a TBI after someone they love has sustained a head injury so they can take action if it looks like a bump to the head is affecting the brain on an ongoing basis. 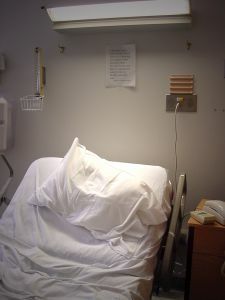 For example, obvious signs that medical attention is needed include seizures, loss of consciousness and difficulty communicating or remembering. Other less obvious signs can exist as well. Post-trauma vision syndrome can be a part of a TBI experience because swelling of the brain disrupts ocular motor nerves. This could cause a person to tilt his or her head in order to try to avoid seeing double, causing poor vision and a loss of balance. If you see your family member looking downwards, stumbling and having a harder time seeing, think about making a medical appointment. Changes in behavior, appetites and sleep patterns can be red flags as well, and if someone you love had a head injury and experiences behavioral changes weeks later, it is tim dot see a doctor. Brain Injury Awareness Month is a good time to review these symptoms so you will know what to look for in case someone in your life ever sustains a blow to the head. With 2.4 million people in the U.S. suffering from brain injuries each year, many because of car, bicycle or sports accidents, there are a great many families out there dealing with the effects of a brain injury.